Old Pasadena Happy Hour Week kicks off. Oh, and it is two weeks. Old Pasadena Happy Hour Week drops a cherry in it through Thursday, March 15. A lot of people love their restaurant weeks, it is true. But others are looking for a bit less commitment and a lower point of entry. We get that; sometimes you don't want to sign onto a whole night at a new place when a quick stop-by, and a brief nosh or sip, will reveal if you and this place are a prospective fit. That's why Happy Hour Week gets our high five. Orange County has a pretty famous one, and so does Old Pasadena. Oh, and look at that: Pasadena's Happy Hour Week is on now through Thursday, March 15. Deals start at a dollar for some martinis then head up into the two-, three-, and four-dollar ranges for beers, wines, cocktails, and fancy appetizers. At a lot of places the special'll depend on the day of the week you arrive. 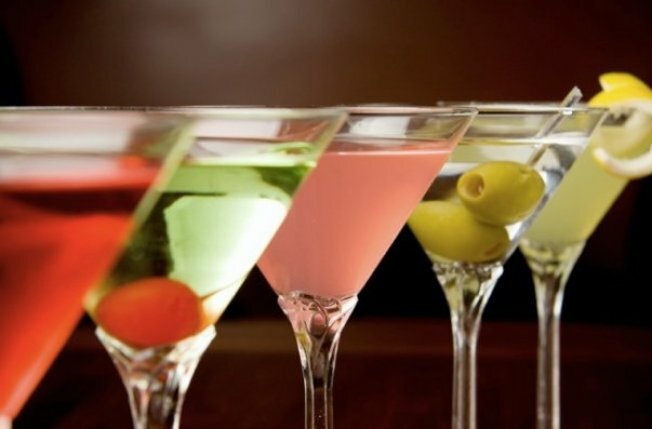 For example, martinis and satays-on-a-stick are a buck each at Equator on both Tuesdays of the event. The Old Pasadena site has a thorough rundown of all the menus and dates, so pdf it up before heading out onto Colorado and Fair Oaks and the surrounding streets. Again, not a big commitment and you can get this done with a fiver in your wallet. If only ever city would got the Happy Hour Week route in addition to all of those fine and welcome Restaurant Weeks.